1 christian woman sentenced to death | This Blog Rules | Why go elsewhere? We have seen people who have been wrongfully committed and executed for crimes they did not commit, and we have seen murderess that were never apprehended. Justice has failed us on numerous occasions in the past, but you would be inclined to think that the system has evolved in the past decades. Wrong. Even to this day, horrible things happen to innocent people. The case of a woman sentenced to death for apostasy is a perfect example. One would think that the times of religious persecution are no longer upon us and that being accused of apostasy would surely be something that belonged to the past. What is curious is that in the 21st century, citizens can still receive horrific sentences when accused of being an apostate. Apostasy itself represents the disaffiliation (or the renunciation) of a certain religion (simply put, it’s when a Christian for instance refuses his or her previous religion) and in some religious groups, such behavior is severely punished. The punishments may range, but in some situations, death penalty for apostates is a fact. According to Islamic law, for instance, a person who commits apostasy will have his or her children and property removed and assigned guardians, they will receive a state enforced marriage annulment and the ultimate punishment for the apostate is death. A 27 year old woman in Sudan has been sentenced to death on May 15th for committing apostasy in Sudan- she married a Christian man and refused to convert to Islam, and in doing so, she was handed in to the authorities and trialed. According to her current sentence, she will be allowed to nurse and raise her newly born baby daughter for two years after which her sentence will be carried out. This situation has raised a lot of concern and numerous world leaders as well as human rights organizations have been speaking out. Hillary Clinton for instance described her sentence as “abhorrent”. 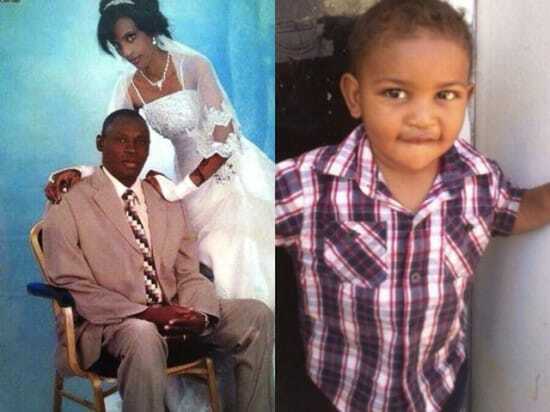 Meriam will also be subject to 100 whip lashes for adultery now that she has given birth to her child. As Meriam was imprisoned while still pregnant with her daughter, she was denied access to a hospital when the time came for her baby to be delivered. The 27 year old was forced therefore to deliver her baby girl in prison, while still in chains (the authorities did not permit Meriam to have the chains from her legs removed even as she was giving birth to her daughter). Daniel Wani (Meriams’ husband) was not allowed to see his wife or daughter the day she was born, and could only be allowed access the next day, in company of his lawyer. Meriam was granted a 4 day grace period during her eight month of pregnancy when she was allowed to convert to Islam. The 27 year old refused to renounce the Christian religion she was raised in (she was born to a Muslim father who had left her and her mother as she was growing up so her mother, an Ethiopian Orthodox, raised her in her own faith) and married a Christian. One of her relatives accused her of committing adultery with her Christian husband so the prosecution (with the support of the judge) asked that she abandon her Christian belief and convert to Islam. The UK government has declared this situation as being barbaric and a flagrant breach of international human rights. 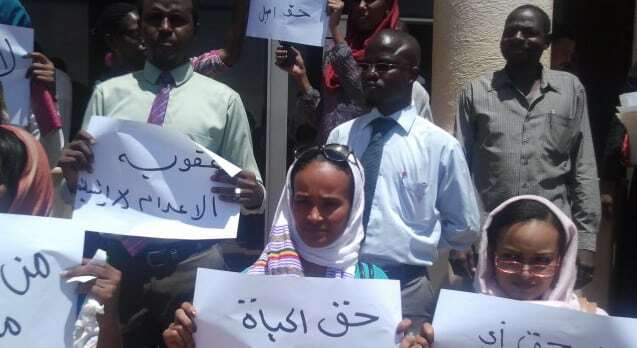 Countries such as the US, Canada, the Netherlands and Britain have all urged Sudan to consider justice and compassion in enforcing the international human rights law.